Where have I been?! I went to Tennessee for a second, I drove to Joseph, Or for a second, and I’ve been in my room, trying to get ready for an art show. Less than a month away now, and stress and excitement are running high. 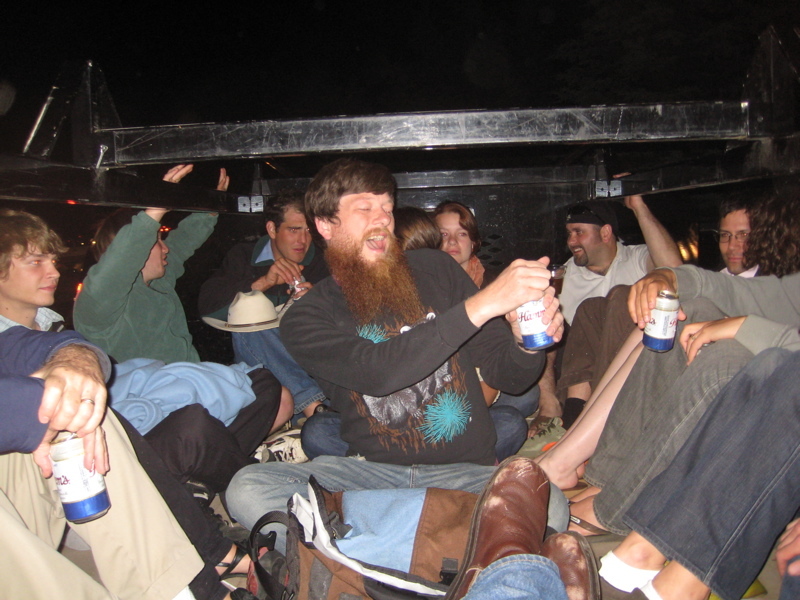 I should show you some more pictures of everything, but for now it’ll just be this one of Seth as he climbs onto the flatbed and opens his beer after handing out beers to others right after the fireworks finished. If you take an awesome picture, compare it to this picture. And if yours is more awesome, I’ll be impressed.